International Conference on Cardiology and Heart Failure : Vydya Health - Find Providers, Products. 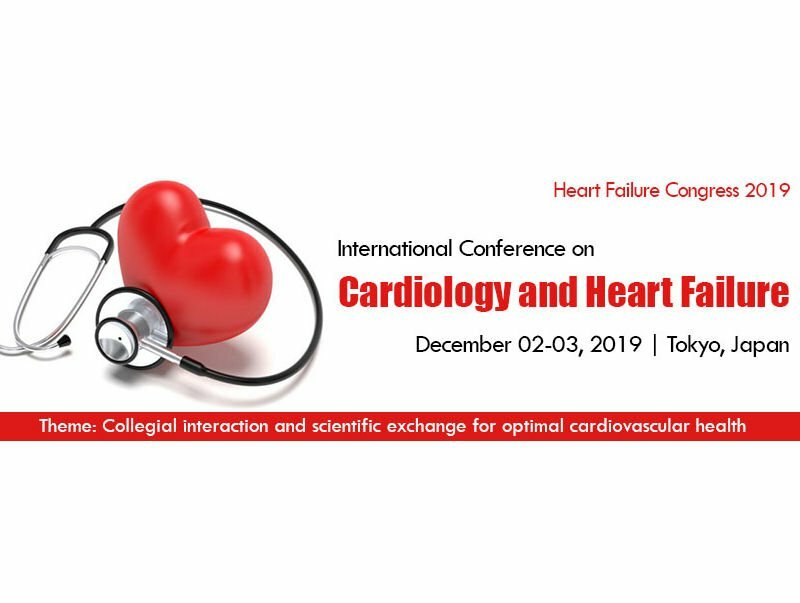 Heart Failure Congress – 2019 invites all the participants across the world to attend “International Conference on Cardiology and Heart Failure” to be held during December 02-03, Tokyo, JAPAN which includes prompt keynote presentations, Oral talks, Poster presentations and Exhibitions. The conference highlights the theme “Collegial interaction and scientific exchange for optimal cardiovascular health”. Heart Failure Congress 2019 is a two-day conference concentrating on Interactive Sessions & Sub-sessions emphasized on innovation and new trends on surgery, keynote lectures from Senior Scientists and industry experts, panel discussions, poster competitions and Young Researcher Forum.